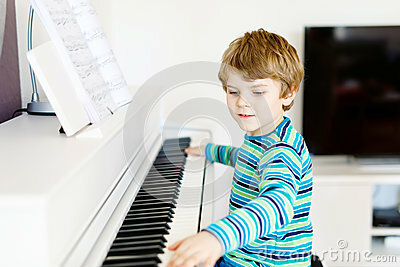 Beautiful little kid boy playing piano in living room or music school. Preschool child having fun with learning to play music instrument. Education, skills concept.